4″ long Leclerc Plastic bobbin in packages of 12. 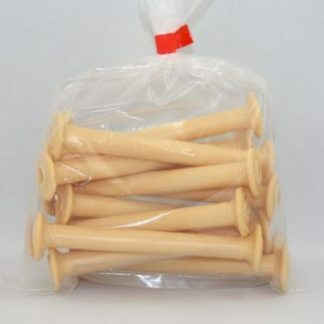 Leclerc Plastic bobbin in packages of 12. 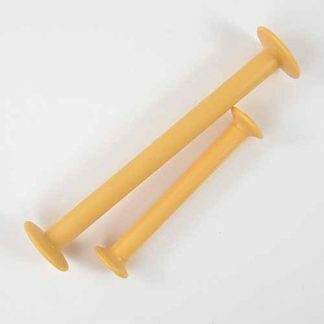 These bobbins are 4″ long. 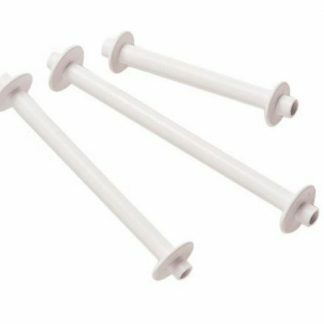 Whilst they can be used in Schacht shuttles, Schacht 4″ bobbins do work better in Schacht shuttles (we’re not just saying that because Schacht bobbins are more expensive, honest).